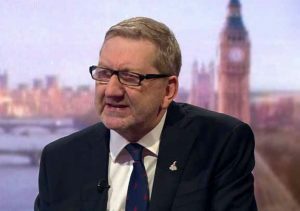 Unite’s Len McCluskey – emphatic victory on election complaints. The Certification Officer, (the regulator for the UK’s trades unions), announced on 5th October that there was no breach of rules during the 2017 union-wide election for the post of General Secretary of Unite the union, (the UK’s biggest trade union) won by Len McCluskey. The Certification Officer dismissed every charge brought against the union by Gerard Coyne former Regional Secretary of Unite in the West Midlands and a member of his campaign Richard Brooks. The decision, on behalf of the Certification Officer, has been given by former high court judge Jeffrey Burke QC after a week-long hearing. Responding on behalf of Unite the union to the decision Unite’s assistant general secretary Gail Cartmail, (who acted as general secretary during the election), said: “Today’s decision is the correct one. Every charge brought against our union by Gerard Coyne and his campaign has been dismissed and shown to be misconceived, underscoring once again that our election was, as we have always said, conducted freely and fairly. “This is an emphatic ruling that ought to draw a line under matters once and for all, allowing this union to do what it does best, defend the interests of its members. “This judgment is, however, also a damning indictment of the Coyne campaign. Our union is particularly pleased that it has been vindicated over the Unite Herald, a disgraceful publication produced by the Gerard Coyne campaign, using the good name of this union to misinform and mislead our members. “During the course of the hearing we also learned that Gerard Coyne had obtained access to the data of in excess of half a million Unite members, donated free of charge by a company called Black Swan, a calculated intrusion into the private details of our members. “This organised effort by external reactionary forces to interfere in Unite’s democracy has predictably failed. Those who have attempted to smear this organisation for their own ends should hang their heads in shame. Jeffrey Burke QC is expected to publish his full response to the 10 complaints publicly on Wednesday 10th October according to The Independent. The Guardian also reports: ‘The watchdog criticised aspects of Coyne’s campaign which it found included “misleading” information in some of the literature”. This entry was posted in Labour Party, Trade Unions. Bookmark the permalink.